Symphony Senior Home Care offers our clients a wide variety of in-home care options that can be amended simply and affordable as needed. Typically our clients are looking for “just a little help” around the house, or companionship, assistance with meals or getting ready for bed. As our clients age, the care plan can be modified to include nursing services, wound treatments, medication alerts, as well as many other options. The services will be offered on a contractual basis with either a set visitation schedule or an on-call respite care service relieving a loved one for a requested amount of time. Professional caregivers will be matched to our clients to ensure compatibility. 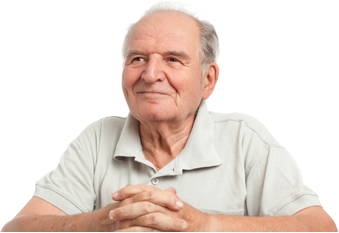 Home Care is the first level of service to be offered by Symphony Senior Home Care. Any number of the non-medical services such as the following will make up the majority of services offered. Washing, help with medication, reminders, personal hygiene, nail care, hairdressing, picking out coordinated outfits, help getting dressed or applying makeup. The professional caregiver will take the best interest of our client at heart. This covers all the basics of looking after a home such as gardening, arranging lawn mowing or landscaping, garbage control, heat and utilities checks, watering indoor plants, replacing light bulbs and everything else that may have at one time been addressed by our client. The professional caregiver may not wear a chef’s hat but they do know their way around a kitchen. Meals can be planned in conjunction with a nutritionist or with the client. Grocery planning, grocery shopping, dish washing, food maintenance, and cooking will fill the house with the welcoming aromas of everyone’s favorite foods. Similar to a housekeeping or maid service, the professional caregiver will provide dusting, damp mopping hardwood and flooring, vacuuming carpets and furniture, changing bedding, cleaning the bathroom and general tidying of living spaces as required and requested. From pre-washing and washing to drying, ironing and folding. If mobility is a concern, the professional caregiver can attend any function, appointment or errand with the client. Whether it is to a local sporting event, family gathering or shopping excursion, the client will have the added security of someone to lean on. Depending on arrangements, travel is by taxi or the professional caregiver vehicle. The professional caregiver keeps a client schedule so that important appointments are not forgotten. A pet is sometimes the best therapy to fight loneliness, depression, medical problems or stress. The professional caregiver will ensure the pet is always as happy as our client. Cleaning, feeding and exercising the pet will be part of the day’s activities. One of the most sensitive areas in health management is caring for a friend or loved one whose prognosis is grim. A comfortable family home allows the loved one to spend their precious time in surrounds full of love and memories. Symphony Senior Home Care can help with arrangements to make this possible. Whether as Respite Care to allow loved ones to take a break or as round the clock loving care, our Symphony Senior Home Care professional caregiver will be there with passion. If you don't see a service you need, please feel free to ask about it. We pride ourselves on flexibility and willingness to listen to your needs to orchestrate your personalized solution. Contact us today.